Own the board room wearing the stylish Versace Collection Long Sleeve Knit Belted Dress. Square neckline. Sheath silhouette. Long sleeves. Fitted waist with attached belt. Brand name logo hardware at belt. Pull-on construction. Straight hemline. 70 percent viscose, 30 percent polyester. Hand wash cold, dry flat. Imported. This item may ship with an attached security tag. Merchandise returned without the original security tag attached or a damaged tag may not qualify for a refund. Measurements: Length: 39 in Product measurements were taken using size 40 (US 4). Please note that measurements may vary by size. 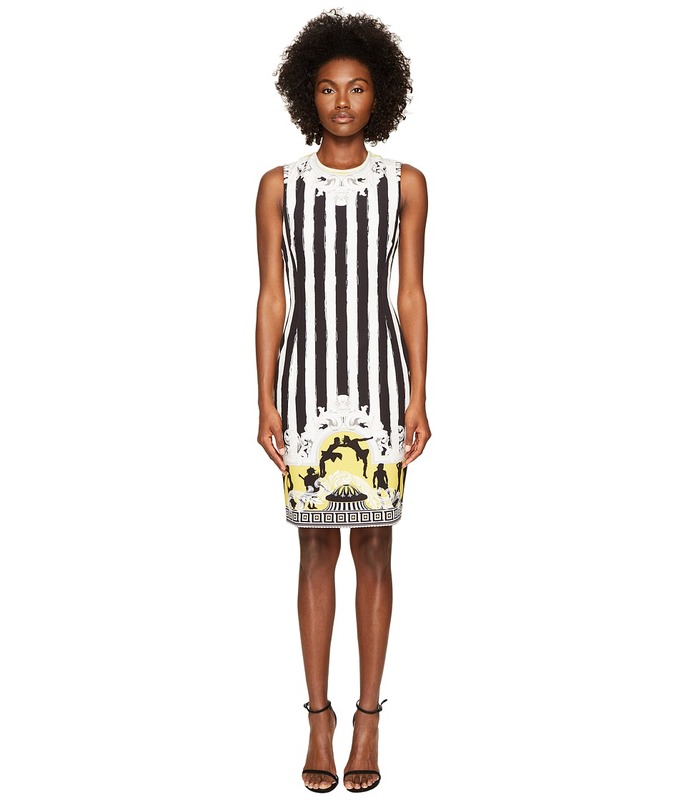 Explore something new with your style wearing the Versace Collection Sleeveless Striped Dress. Sheath silhouette. Sleeveless. Back zip closure. Allover stripe print with baroque and deity detail. Straight hemline. 90 percent polyester, 10 percent elastane. Lining: 63 percent viscose, 37 percent polyester. Professional dry clean only. Imported. This item may ship with an attached security tag. Merchandise returned without the original security tag attached or a damaged tag may not qualify for a refund. Measurements: Length: 37 in Product measurements were taken using size 40 (US 4). Please note that measurements may vary by size. 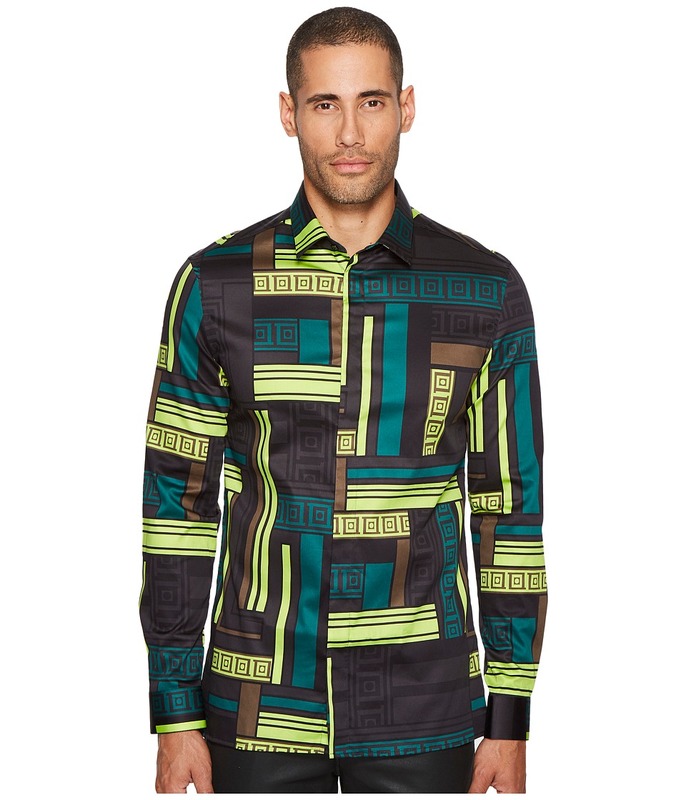 Even your casual look is eye-catching with the Versace Collection Shirt. Point collar. Long sleeves with button cuffs. Front-button closure with hidden placket. Straight bottom hemline. 97 percent cotton, 3 percent elastane. Machine wash cold, line dry. Imported. This item may ship with an attached security tag. Merchandise returned without the original security tag attached or a damaged tag may not qualify for a refund. Measurements: Length: 31 in Chest Measurement: 42 in Product measurements were taken using size 42 (US 16.5). Please note that measurements may vary by size. 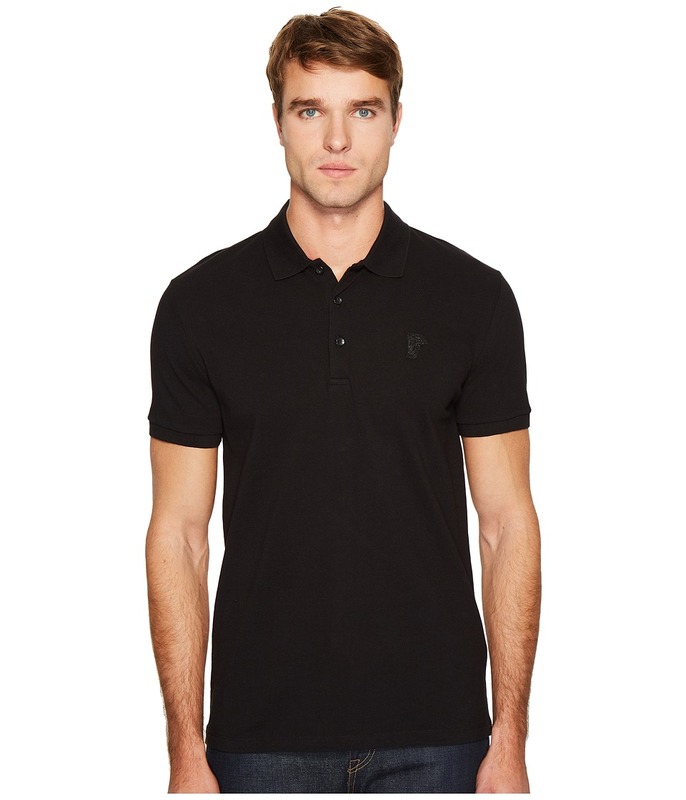 Even your casual look is eye-catching with this Versace Collection Logo Polo. Polo collar with three button placket. Short sleeves. Medusa at the left chest. Straight bottom hem. 100 percent cotton. Machine wash cold, line dry. Imported. This item may ship with an attached security tag. Merchandise returned without the original security tag attached or a damaged tag may not qualify for a refund. Measurements: Length: 30 in Product measurements were taken using size MD (US 40). Please note that measurements may vary by size. 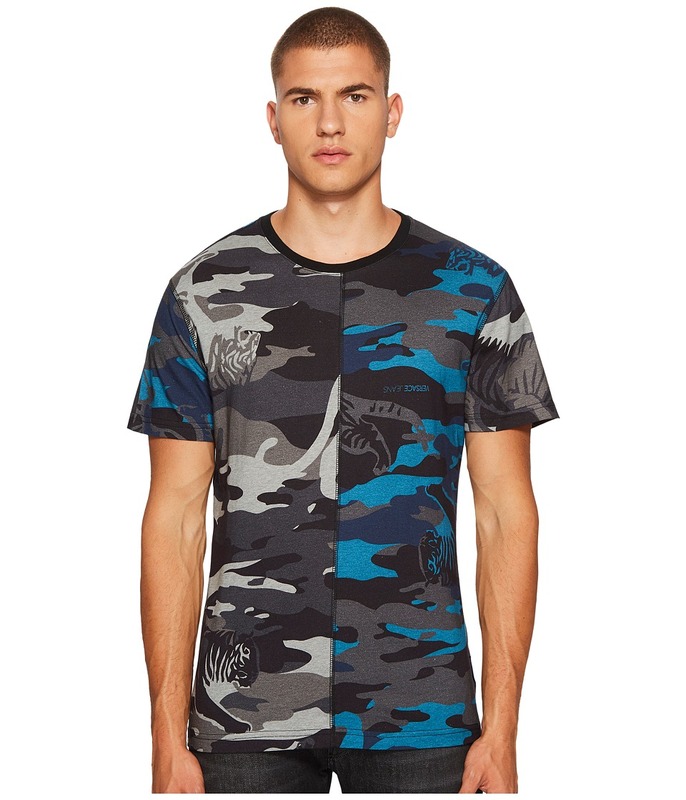 Even your casual look is eye-catching with the Versace Collection T-Shirt. V-neckline. Short sleeves. Medusa face woven at the left chest. Straight bottom hem. 100 percent cotton. Hand wash cold, line dry. Imported. This item may ship with an attached security tag. Merchandise returned without the original security tag attached or a damaged tag may not qualify for a refund. Measurements: Length: 29 in Product measurements were taken using size MD (US 40). Please note that measurements may vary by size. 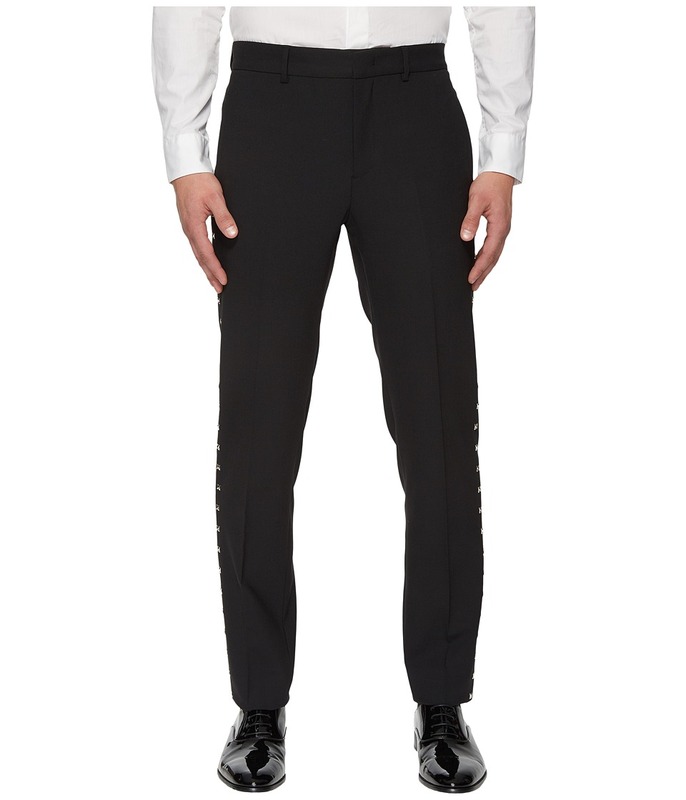 Stay stylish and comfortable with these X Applique Trousers from Versace Collection Fitted waist with belt loops. Zipper fly with inside hook and button closure. Faux hand pockets. Rear welt pockets. Straight leg. 53 percent polyester, 44 percent wool, 3 percent elastane. Lining: 65 percent polyester, 35 percent cotton. Professional dry clean only. Made in Italy. This item may ship with an attached security tag. Merchandise returned without the original security tag attached or a damaged tag may not qualify for a refund. Measurements: Waist Measurement: 32 in Outseam: 44 1 2 in Inseam: 35 in Front Rise: 10 in Back Rise: 16 in Leg Opening: 14 in Product measurements were taken using size 48 (US 32), inseam 32. Please note that measurements may vary by size. 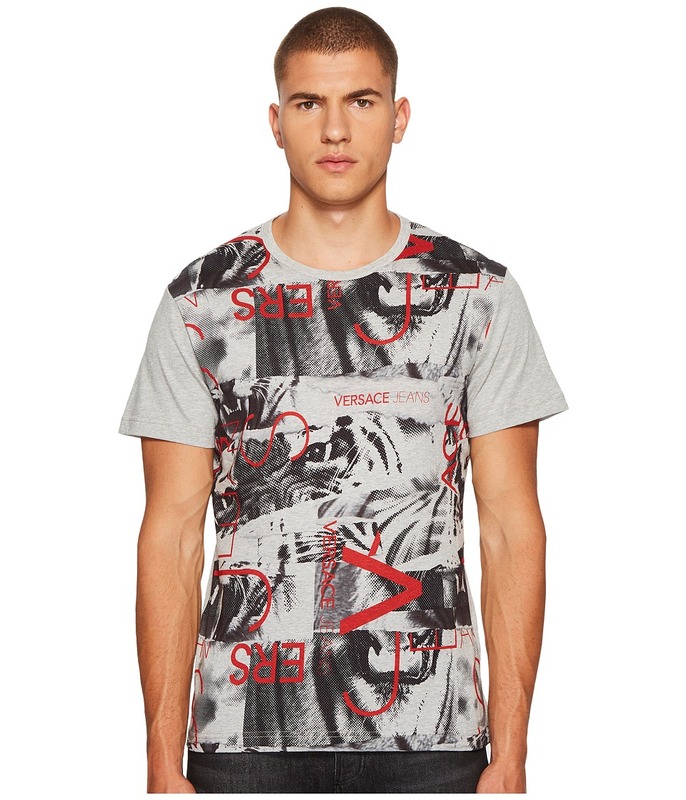 Even your casual look is eye-catching with the Versace Collection T-Shirt. Crew neckline. Short sleeves. Tiger and camouflage pattern throughout. Straight bottom hem. 100 percent cotton. Machine wash cold, line dry. Imported. This item may ship with an attached security tag. Merchandise returned without the original security tag attached or a damaged tag may not qualify for a refund. 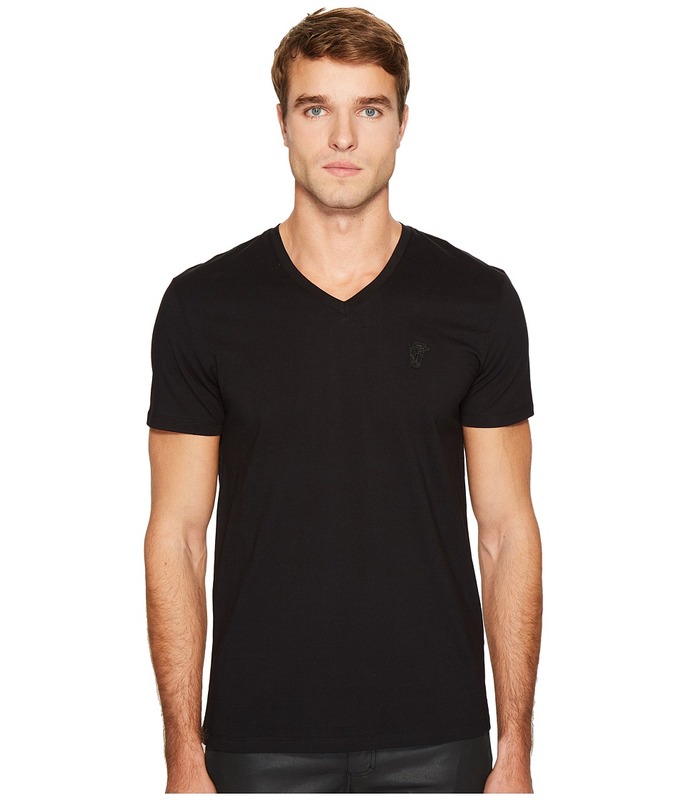 Even your casual look is eye-catching with the Versace Collection T-Shirt. Crew neckline. Short sleeves. Logo and tiger graphic throughout. Straight bottom hem. 100 percent cotton. Machine wash cold, line dry. Made in Italy. This item may ship with an attached security tag. Merchandise returned without the original security tag attached or a damaged tag may not qualify for a refund. 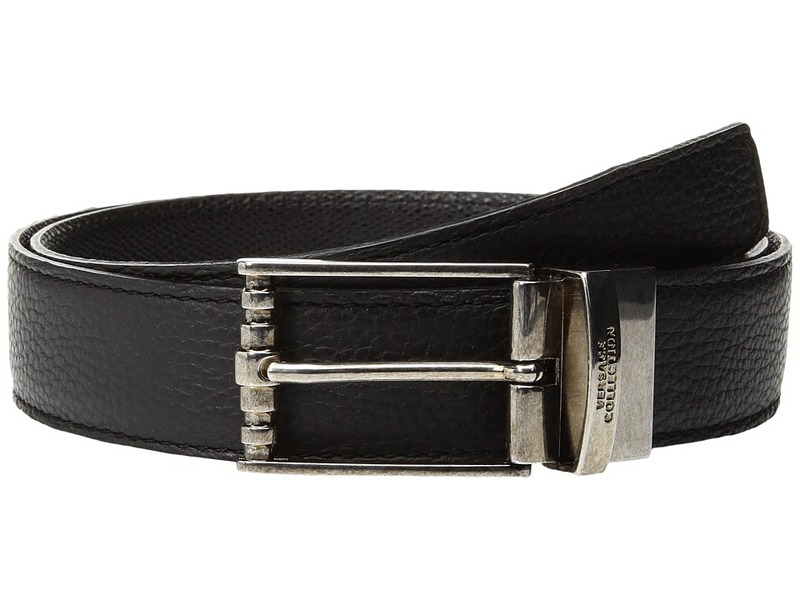 Polish off his look with the dashing Versace Collection Classic Belt. Leather belt. Brand logo engraved buckle. Silver-tone hardware. Made in Italy. This item may ship with an attached security tag. Merchandise returned without the original security tag attached or a damaged tag may not qualify for a refund. Measurements: Width: 1 1 4 in First Hole Length: 36 in Last Hole Length: 40 in Weight: 5.4 oz Product measurements were taken using size 95 (38 Waist). Please note that measurements may vary by size.